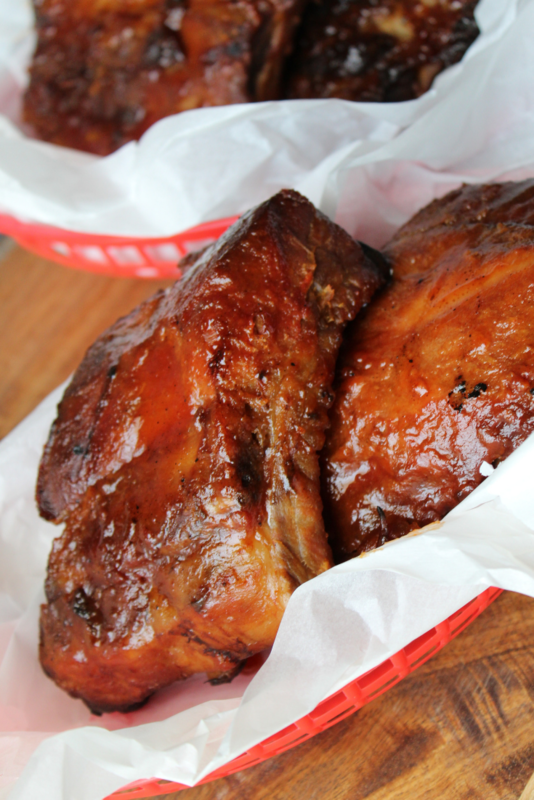 Few foods are as essential to football season as these Fall Off The Bone Slow Cooker BBQ Ribs. 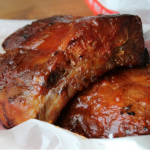 Sticky and slightly sweet, these baby back ribs are a breeze to make since they are cooked low and slow in your favorite crockpot, before being finished off on your backyard grill. The hardest part of this recipe is making the BBQ sauce. 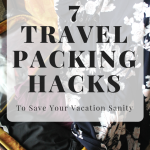 Now normally I’m all about shortcuts and would say “Eh~ If you want to open a bottle of BBQ sauce, open yourself a bottle of BBQ sauce”. 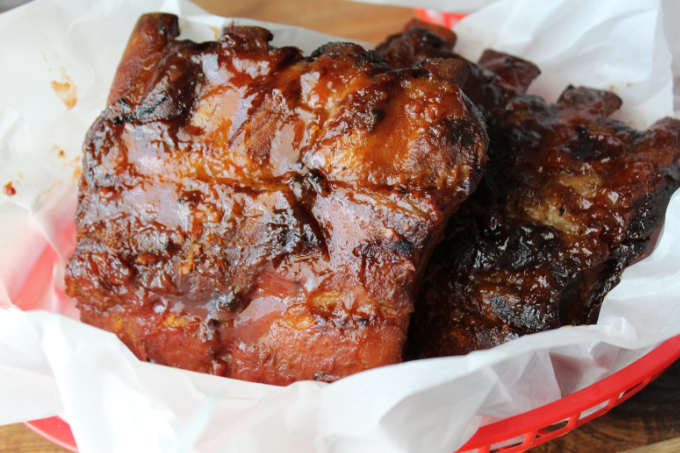 But the magic of these ribs comes from the tangy sweetness of the homemade BBQ sauce. The ribs take a bit of prep work, but are perfect to make ahead of time and grill right before the party or as the tailgate fun begins. Make the sauce the day before and let the ribs marinade overnight. 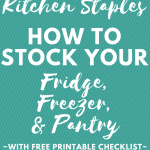 Place in a slow cooker for a few hours. 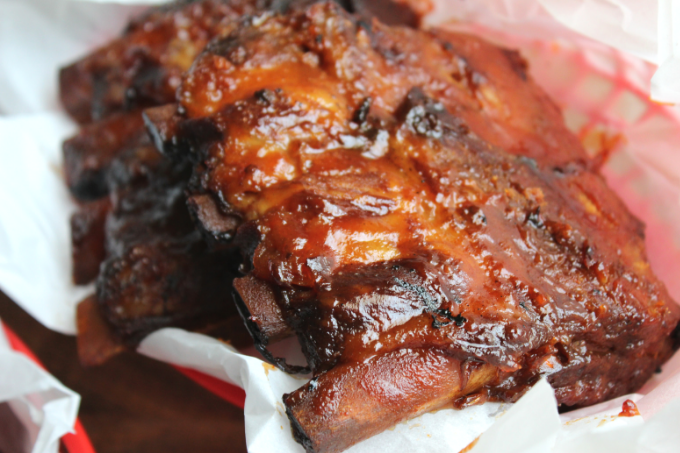 Finish off with smothering the extra homemade BBQ sauce on the ribs and grilling. And when I say these ribs are “Fall Off The Bone”. So much so, that when you remove them from the slow cooker, be sure that they don’t fall completely apart. You still need to finish them off on the grill. Grilling adds amazing flavor and helps adhere the sauce to the rib meat. And talking about rib meat. 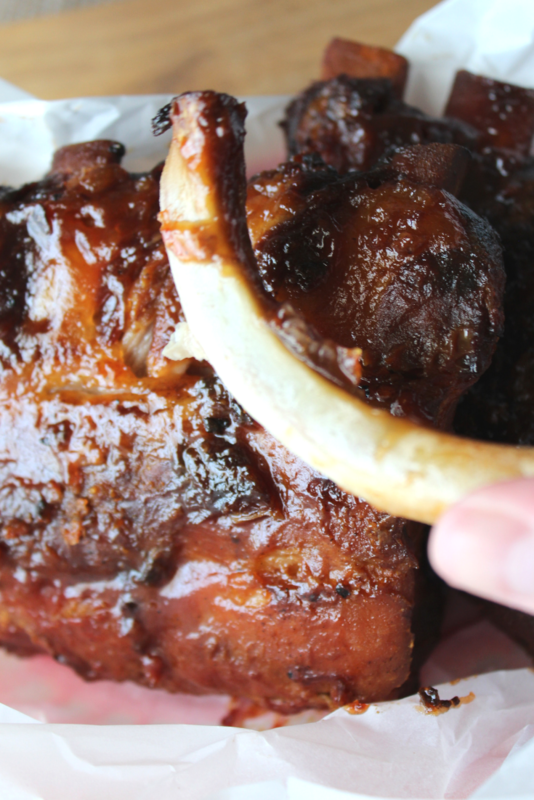 It is sooooooo important to choose a rib with plenty of “meat on the bones”. That’s why I turn to baby back ribs (or my grocery store calls them loin back ribs). I mean if you are going to go through all of the work of making homemade sauce and BBQ ribs, you might as well make it worth your while. This hunk of meat is perfect served with a helping of Creamy Coleslaw and this Macaroni Cheese Corn Bake. In a large saucepan, over medium-high heat, stir together all of the ingredients for the BBQ sauce. Bring the mixture to a boil, then reduce heat to low and simmer uncovered for 30-45 minutes until sauce thickens. Stir often! Remove sauce from heat and slightly cool. Cut the rib rack into four equal pieces. Cutting into smaller racks allows for the ribs to cook more evenly and are the perfect portion size. Remove any excess fat and the rib membrane. 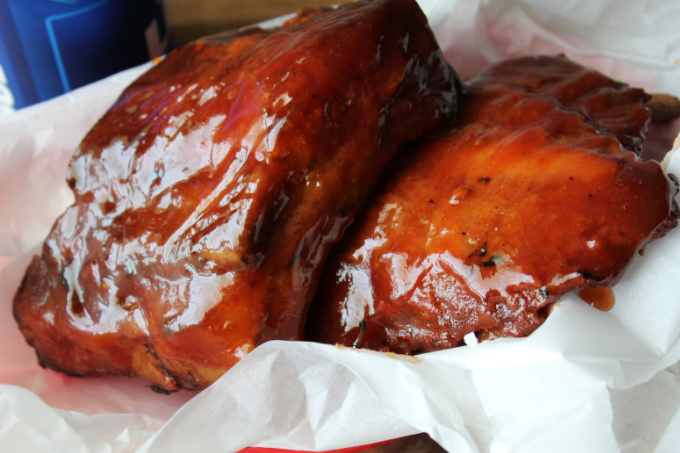 Place prepared ribs in a resealable bag or container. Cover with HALF of the cooled BBQ sauce. Refrigerate ribs and leftover BBQ sauce overnight. 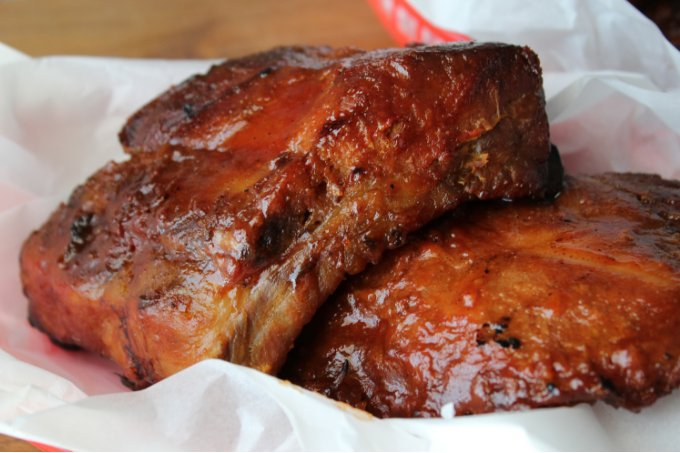 Once ribs have marinated overnight, place into the bottom of a slow cooker and top with marinading BBQ sauce. Cook on Low for 6-8 hours until tender and the meat has shrunk away from the cut ends at least 1/2 inch. Once cooked, remove ribs from slow cooker. Brush additional BBQ sauce onto both sides of cooked ribs. Grill ribs on high heat (approx 400 degrees F) by first placing sauced ribs, meat side down onto grates for 2-4 minutes. Flip ribs and baste again with additional BBQ sauce. Grill an additional 2-4 minutes, until you start to see a few charred sections of sauce. Charred=good... Burned=bad. So watch the ribs carefully!